Gravity, the latest film by visionary director Alfonso Cuaron (Y Tu Muma Tambien and Children of Men), is a thrilling story of the determination of the human spirit. Let me warn you: while not perfect, there are aspects of this film that I intend to gush over; in particular the special effects, which are close to immaculate. I’m stilling trying to work out how they actually made this film – is it green screen? Perhaps models or miniatures? Or maybe they just swiped some gear from NASA and filmed on location 600 hundred kilometres above the earth. Either way, the effects are ground-breaking and undoubtedly benchmark-setting. 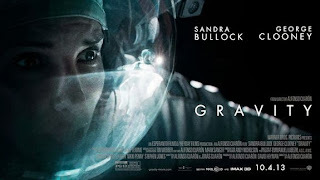 With strong performances and moments of sheer terror, Gravity is everything I want from a highly-crafted space thriller. The story kicks off with a taskforce of astronauts repairing research equipment not too far, relatively speaking, beyond the earth’s atmosphere. The group is led by the charismatic Matt Kowalski (George Clooney) and includes rookie Ryan Stone (Sandra Bullock). The group find themselves in the path of peril when the destruction of a Russian satellite causes a storm of fast-moving debris to orbit the earth at the same radius as our group of scientists. Essentially, the first ten minutes of this film is like sitting in a rickety old roller coaster slowly heading up the incline - you can only just see the top and yet you know that in sheer moments all hell is going to break loose. And how. The movie really delivers on its promises, taking you on one hell of a ride. The performances were excellent despite, at times, an exposition-heavy and hackneyed script. 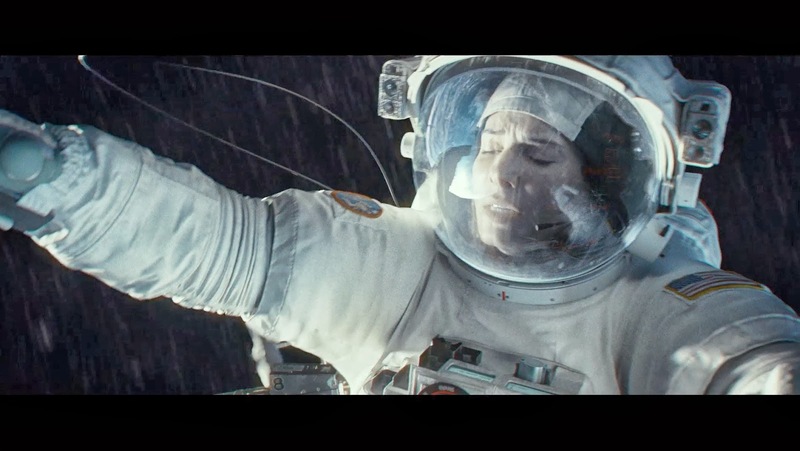 Sandra Bullock will have a decent shot at an Academy award nomination for her efforts. George Clooney doesn’t have a lot to do but as usual he brings his own charm to the party. Written by Alfonso and Jonas Cuaron, I found the dialogue contained a few too many cliché elements and constant self-pep talks became a tad laboured. However, in the scheme of things, it doesn’t detract from the overall effectiveness of the film. What is lacking in the screenplay department is well and truly made up for by the visual splendour of the film. As I mentioned earlier, it’s difficult to work out how they actually achieved it. Recall the zero gravity moment in Christopher Nolan’s Inception (with the characters being tied together and floating around) – this is 90 minutes of that but on a far grander scale. I found myself getting distracted by how good the earth looked and the detail on the exteriors of the spaceships. This has the feel of massive blockbuster however by Hollywood’s standards its budget is a reasonable $80 million. And trust me, not a single penny has been wasted. I particularly enjoyed the 3D presentation of the film. There’s something about an object floating around in space that works nicely in 3D and added to the theme-park ride feel of it all. 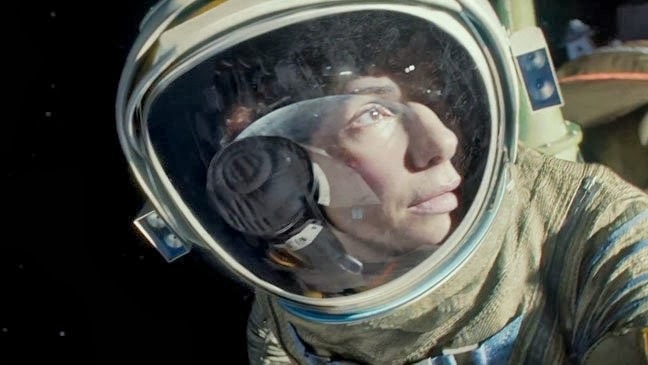 While Gravity doesn’t have the political undertones of some of Cuaron’s other films, it’s a perfect example of how he is evolving technically as a director, as well as learning how to ratchet up the tension as a story teller. Just as I felt when I watched Children of Men, I can’t wait to see what he comes up with next. This is definitely a film which you have to see on the big screen, and I’ll be first in line if it ever gets shown in IMAX. Gravity is in cinemas from the 3rd of October. If you agree or disagree with my review please feel free to leave a comment below. 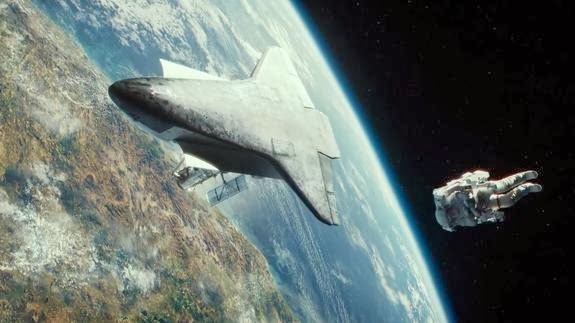 Gravity is what cinema at its best should be - an experience that makes you grip the armrests tightly and slide to the edge of your seat as you become completely consumed by the story on the screen.